Adopted ministers are soul winners, for we helped reap 113 precious souls for Christ. These are the results of our Revelation of Bible Prophecy done last July 17-30,2011. For two months, 9 adopted ministers and 1 Layman gave Bible studies to the people. Of this 113 number, I recommended 17 souls for Jesus. Here in Tagum City last August 06, 2011, I recommended 1 soul. She is Cristina Rosales, a government employee. At this time I have transferred to Panabo City for another evangelistic effort. Please pray for our work here and we thank all of our sponsors for your support. Praises and Honor Belongs to our Almighty God for His wondrous love that he has done for all of us. 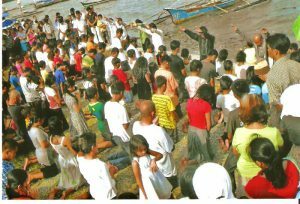 I am glad to tell you that our evangelistic campaign here in Siargao District had resulted to 178 precious souls who were baptized last July 23, 2011. With our group here in General Luna, we reaped 49 precious souls last Sabbath, July 30. They attended their first Sabbath with Jesus although not all were able to come to worship but yet almost all the benches were filled with these new brethren who were added to the fold of God. As of now we are nurturing our new brothers and sisters in Jesus Christ. We are so thankful for your prayers and financial support for our Ministry in NEMM. We are in dire need of funds for our 400+ adopted ministers. 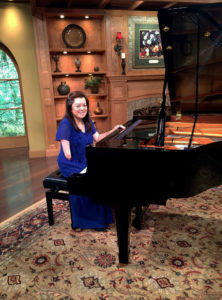 Adopt a Minister International, 7811 Laurel Court, Denham Springs, LA 70726. We are praying that may God bless you tremendously so you can support His workers through AMI.